Stable complex comprising of 3 No. 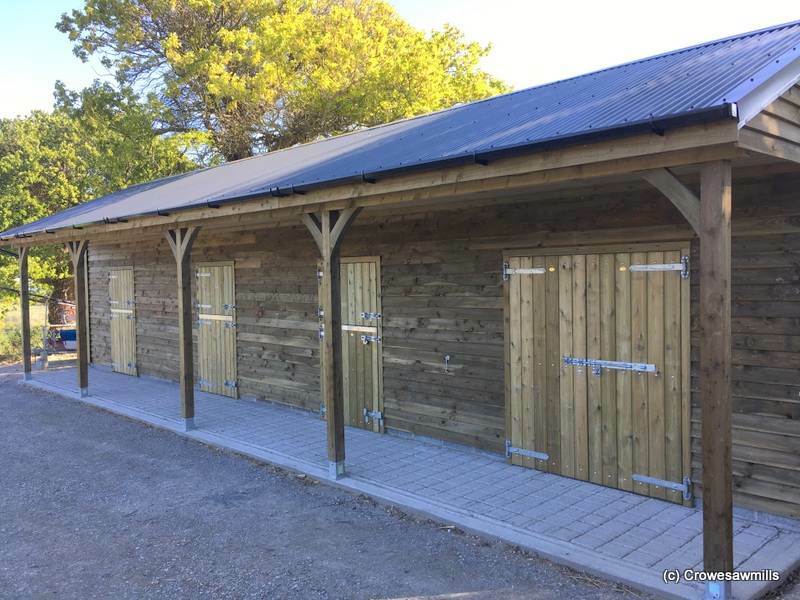 3.6m x 3.6m boxes and a tackroom 3.6m x 3.6m with double doors, cladded in Larch timber 145 x 20mm. 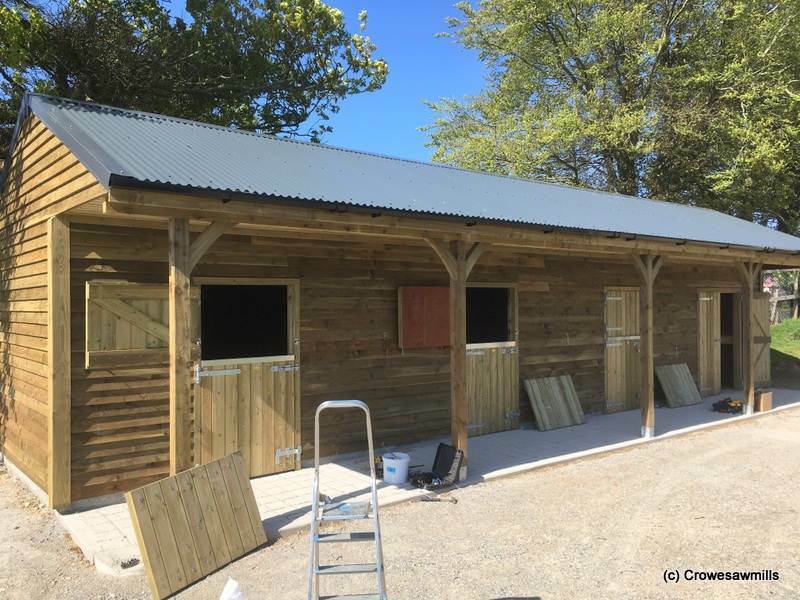 Studwork 100 x 44mm pressure treated and rafters 125 x 44mm and sheeted inside with 1/2″ plywood. Overhang 1.5m wide with Larch support posts & gallowboards.